Okay, so I had to read this. It just seemed fair that I finish? the series, I mean there aren’t any seasons left. But we will see if Bell decides to write anymore with these characters. In Something Like Spring, we meet Jason, who is a teen going through the foster care system. His caseworker Michelle, who we remember is Jace’s sister, drops him off at his 24th foster home. The Hubbards seem like the ideal family, they’re rich and even willing to adopt. Although he is skeptical, Jason decides to follow the rules and not self-sabotage his chances at having a permanent family. Well, at least he tried being on his best behavior. Jason is dealing with his homosexuality and it just so happens that the Hubbards, have a biological son, named Caesar who is just down the hall. Yay for temptation!!! Despite the awkwardness of them almost being brothers, Jason falls in love with Caesar. And as luck would have it, Caesar falls for Jason. Once again we are exposed to the innocence and excitement of a young relationship. But we have already read a couple Jay Bell books, and we know damn well where this is going! To quote Jay Bell himself: Happy couples are boring. Eventually, Jason grows out of the foster care system and ends up in Austin. Once in Texas, he is put into contact with, yup…you guessed it…Ben and Tim. They are currently in their first year of their revived relationship. They fell in love, fell apart, reconciled, and finally, have a happy and healthy relationship. Despite not being a fan of Tim, they really do appear to be madly in love this time around. Michelle and Tim are friendly towards each other even though her husband, Greg (remember…Jace’s best friend), hates him. Emma, Michelle and Greg’s daughter, is just a happy child who adores both Ben and Tim. It’s not a picture-perfect family, it’s the kind of support system that Jason needs. He’s a young man now, but he is still in need of some guidance. I wasn’t sure how Jason was going to fit into the series at first, but he ended up becoming a great addition. All he ever wanted was a family, for people to love and to love him back. It was nice seeing this unconventional family through his eyes and watching him grow into a man from it. 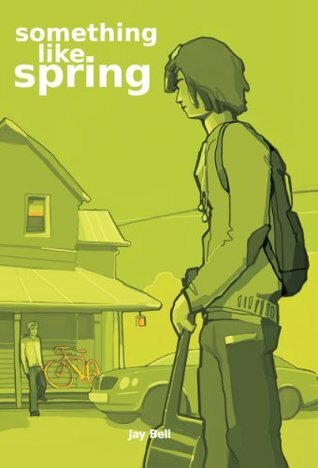 Tim hate aside, Something Like Spring confirms him and Ben were meant to be together. We know this because Jason flat out tells us, and he has been searching for a love just like theirs. As for our realist romantic, Jason, he ends up finding a love like Ben and Tim’s. After a little scheming, he lands himself, William. William is great, sweet and loving, and just perfect for Jason. He is everything Jason had been searching for and so much more. But this is also a Jay Bell novel, so don’t let your guard down! This book was a great read, and thankfully is not as heart wrenching as the others. It has its moments, but I was fully prepared for the worse to happen after every page turn. Jay Bell novels do that to you. If you’re a fan of the series, this a great wrap-up to it. You weren’t my second choice. You were the right choice. There’s always two sides to every story, but in a love triangle, there’s three. Something Like Winter is the second book of the seasons and it tells the story from Tim’s point of view. Since I was never a fan of Tim, I didn’t read it. You don’t have to read it before reading Something Like Autumn, but you can if you’d like. 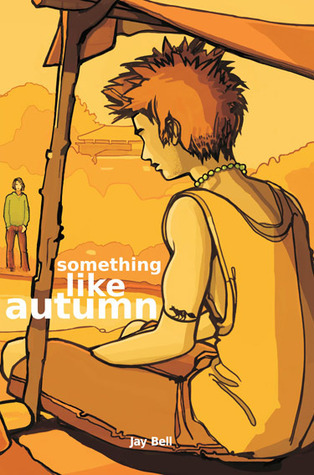 Something Like Autumn, the finale, is all about Jace, who we all know and love from the first book, Something Like Summer. The book is all about the experiences he goes through, whether good or bad, to find someone who’ll love him the way he loves them. We jump into Jace’s past, when he was just a confused teenager who was having problems with being gay. His doubts soon disappear when he meets Victor. Strange, homeless Victor. They hit it off right away and Jace easily falls in love with him. But unfortunately, Victor refuses to be tied down to anyone or anything. This of course causes problems in their young love, because Jace wants to be tied down. He wants the marriage, the family, and the commitment. He wants to be loved forever.Victor, though he really does love Jace, is never going to want those things too. Despite their obvious differences, they have the typical “on again. off again” relationship over the years. Eventually their relationship comes to a complete end. And although Victor was similar to Tim… I didn’t really hate him. I mean, the guy had issues. He might have even been a little cray. Now we get to the story we all know, the part where Jace meets Ben. But this time we see that not only did Jace save Ben, but Ben also saved Jace. And they were just perfect for each other. Had it not been for cray cray Victor, Jace wouldn’t have been the saint we were all attached to in the first book. Jace’s back-story with Victor explains how he was always able to forgive Ben, because he still loved Victor just as much as Ben loved Tim. He knew how he would feel seeing Victor again… and he can’t blame Ben for succumbing to those feelings. Victor helped Jace understand that first love doesn’t die. Your feelings don’t go away too when a relationship ends. Now we know what made Jace so “perfect.” And knowing is half the battle. Because this is Jace’s story, we are once again hit with the super sad part of his life that made us cry like little babies in the first book. Although, this time we get more closure. Yes, I was secretly hoping Jay Bell was going to write that it was all a dream in the first book and Jace and Ben grow old together and have a giant family. But nothing changes and we once again say goodbye to our hero, Jace. Despite all the heartache, we did find out that he had a good life. He had found his happiness. Ben and Jace both loved two men in their lives. And although they never stopped loving their first, it didn’t stop them from loving each other. We all knew Ben was meant for Tim and Jace was meant for Ben. The first book made us ache for Jace who seemed to have gotten the raw end of the deal. But in Something Like Autumn, we learn that Jace got everything he wanted in life with Ben. He got the marriage, the family, and the commitment. He had found someone to love him forever. Everyone might remember their first crush, mine was Matthew Lawrence from Boy Meets World, but everyone always remembers their first love. 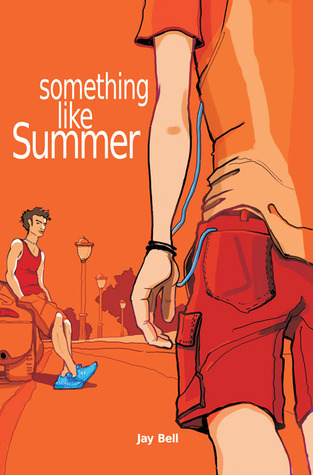 Something Like Summer is a story of first love, told by Ben. Ben came out when he was 14. Since then, high school has been rough, but he’s got a great family and a fantastic best friend. The summer after turning 16, Ben develops a crush on a guy he sees run past his block every single week. After chance discoveries and careful “stalking,” he finds out the boys name, Tim. Ben’s persistence pays off, and the boys eventually get to know each other. Their friendship soon blossoms into love, but high school romances are almost always flawed. The real issue in their relationship is Tim. Tim comes from a rich and religious family so he is ashamed of his feelings for Ben. His cowardliness forces them to keep their relationship secret. Ben, blinded by his love, agrees to Tim’s every demand. The strain of keeping their relationship hidden dooms it to failure and the two split before the end of senior year. You will grow to hate Tim in the book, I’m just warning you now. Like hate him. To the point where you are either yelling at Ben for being dumb or Tim for the same reason. The story jumps forwards three years and Ben has met an attractive flight attendant, Jace. Jace is 6 years older than him, but the maturity of his age is a blessing. Jace is honest, loving, forgiving, and simply perfect. He’s too good to be true really. With the help of Jace, Ben experiences what a real relationship is suppose to be like. Sure they had a few rough patches, but nothing like Tim. Team Jace all the way. But uh oh, who’s that suddenly jumping back into the picture when everything is going perfect for Ben? Why it’s none other than Tim and he wants Ben back. Of course he does. The story gets really frustrating at this point. Soooo frustrating. You are once again going to be screaming at Ben and Tim, while trying to reassure Jace that it will all work out. I get that you never forget your first love, but Ben’s recurring feelings for Tim and his inability not let go was maddening. And poor Jace, who is overly understanding on Ben’s trouble staying true to him because of Tim. You will ache for Jace for being able to love Ben despite all the crap. You might even yell at him to grow a pair and fight for his man, but if you do, you will regret it later. While the story starts about a simple crush, the complexity of it (just like relationships) grows as the story unfolds. I won’t ruin any of the big spoilers for you, just be prepared to be angry, frustrated, sad, and super sad. And if you happen to enjoy the story, there’s two more in the series. One told from Tim’s point of view, and one from Jace’s. Spoiler Alert: Tim’s is still frustrating and Jace’s will make you cry. Only 4.5 stars because the ending really pissed me off.